Every sports activity requires a different skill set for success, yet all sports share a critical need for good vision. Geraint Griffiths, a British optometrist, devised a study to determine the effects of visual acuity on sports performance. This study distributed special vision-blurring goggles to Wimbledon tennis players and UK national clay pigeon shooters. Their performance was studied while the goggles were worn. Even though the goggles only blurred their vision a bit, the marksmen and tennis players showed a 25% decrease in accomplishment. This study demonstrated clearly that vision and sports achievement are inextricably linked. Visual clarity isn’t the only benefit provided by sports eyewear. There are a number of additional eyewear features that boost athletic performance and enhance eye safety. As reported by the American Academy of Ophthalmology, over 42,000 sports-related eye injuries occur in the United States each year. Approximately 43% of those injuries happen to children under the age of 15. The majority of these injuries can be prevented with protective eyewear, such as safety goggles with polycarbonate lenses. Regular eyeglasses are designed for daily wear, and they aren’t resilient enough to handle the rough and tumble wear needed for sports. They also provide inadequate protection for your eyes. Contact lenses offer zero protection from sports-related eye injuries. In contrast, sports eyewear is constructed to be highly impact-resistant, thereby granting superior protection for your eyes and removing anxiety about potential eye injuries. Able to withstand the hit of a ball traveling at up to 90 miles per hour, polycarbonate lenses are about 10 times more impact-resistant than regular lenses. Safety eyeglasses are advised for every activity that has the potential for injuries to the eye. Be aware that the following land sports run a higher risk to eyes: softball, baseball, hockey, football, basketball, handball, squash, racquetball, tennis, volleyball, soccer and lacrosse. In water, all swimming and pool sports require specialized eye gear. Paintball players should also make safety eyewear an essential part of their game. Harmful ultraviolet (UV) radiation can be just as damaging to your eyes as other injuries. A number of eye diseases, such as ocular tumors, macular degeneration, and cataracts, have been associated with exposure to UV rays. Photokeratitis, which refers to sunburn on your eye, is another hazard. This painful condition can cause long-term corneal damage. Dangerous UV rays are more potent at higher altitudes and also bounce off snow or outdoor water, which increases exposure. It is imperative for skiers and anyone who enjoys outdoor water sports to wear sports sunglasses or tinted goggles that block 100% of the sun’s UV rays. Some types of contact lenses provide UV protection, yet they only cover the central part of your eye. For this reason, sunglasses that block UV rays should still be worn, preferably in a wraparound style that also covers the delicate tissues surrounding your eyes. Hats with a wide brim will upgrade your protection by further reducing facial exposure to UV rays. Special tinted eyewear may add a winning edge to your game. Depending upon the lighting conditions, it’s not always simple to “keep your eye on the ball”. Hunters favor shooting glasses with amber tinted lenses, which highlight the contrast of birds flying against an overcast, dim sky. Golfers tend to gain the largest benefit from green tinted lenses. A wide range of specialized tints for specific indoor and outdoor sports are available. These lenses can improve visibility and contrast in a diversity of environments. Ask your eye doctor or optician for more information about which lenses can help raise your scores. Reflective surfaces, such as a flat body of water, a sandy beach or even light-colored pavement, can disturb your vision with glare. Polarized sunglasses are one effective way to resolve this problem. Another glare reducer is to add and anti-glare (AG) component to your lenses. At night, sports eyewear with anti-glare will diminish lens reflections when playing under bright lights or spotlights. It’s a good idea to apply anti-glare to the back surface of sport sunglasses in order to decrease the glare that bounces into your eyesight when sunlight hits the back of your lenses. You can control the light that enters your eye by wearing photochromic lenses. These clear lenses transition automatically into dark lenses upon exposure to UV rays. They also offer 100% UV protection, and return quickly to their former clear state when you go indoors. The best contact lens choice for sports is soft one-day disposables. There’s no need to clean them and you can toss them in the garbage at the end of the day. The flexible, oxygen-permeable material of one-day soft lenses also requires very little adaptation. They can be inserted easily and worn comfortably for a full day of physical activity. Although contact lenses offer high convenience and comfort, there are still a number of disadvantages with wearing contacts for sports. 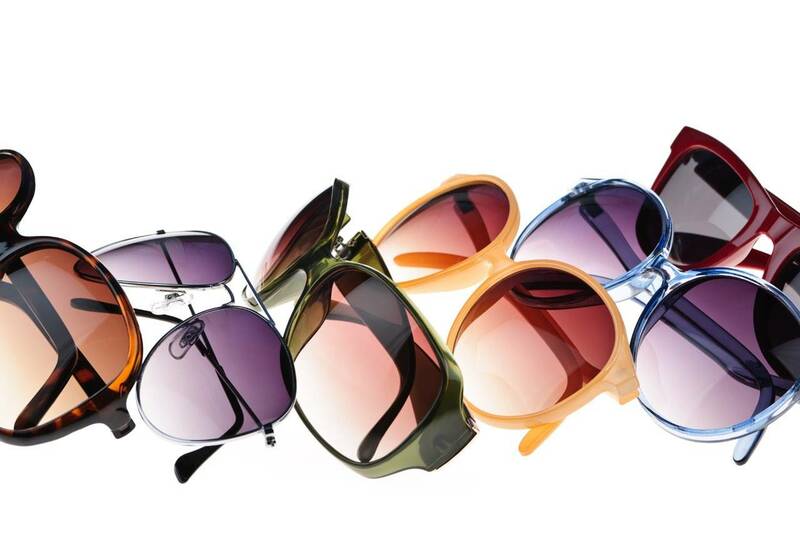 No protection against eye injury is provided and they don’t offer sufficient UV protection. For ultimate performance and safety, you need to wear quality protective eyewear or sunglasses over your lenses.